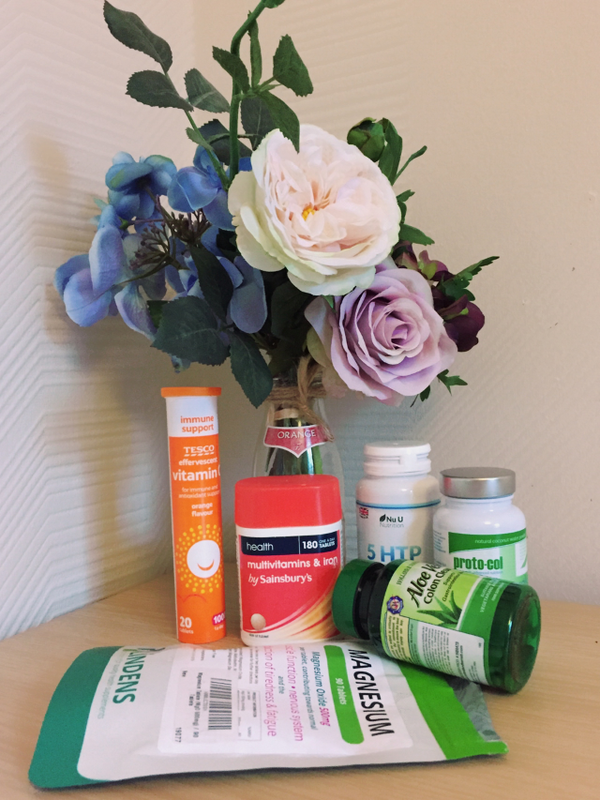 Vitamins for hangovers, being sore post gym, depression, preventing a cold and more! 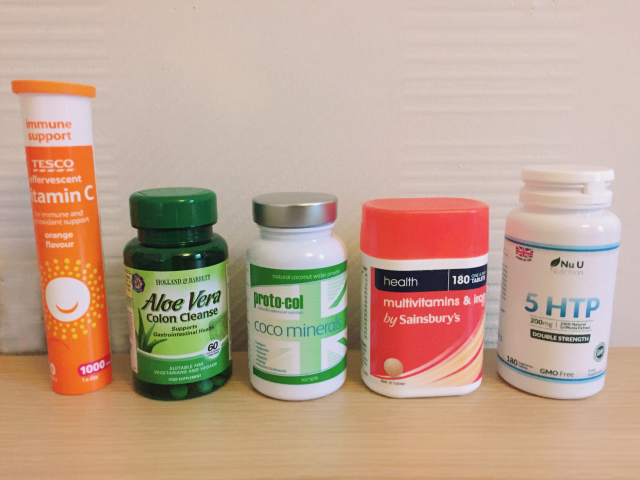 As someone who doesn't always lead a very healthy lifestyle (i.e pizza all day errday), I've started getting quite into my vitamins and I thought I'd share some of my favs. I especially recommend 5htp if you suffer with anxiety or depression, this has been a game changer for me! Effervescent vitamin C // Immune system & antioxidant support - I've started having one of these in a glass of water in place of juice with breakfast, and for the last month I've managed to avoid getting a winter cold despite being around so many people with colds on a daily basis. 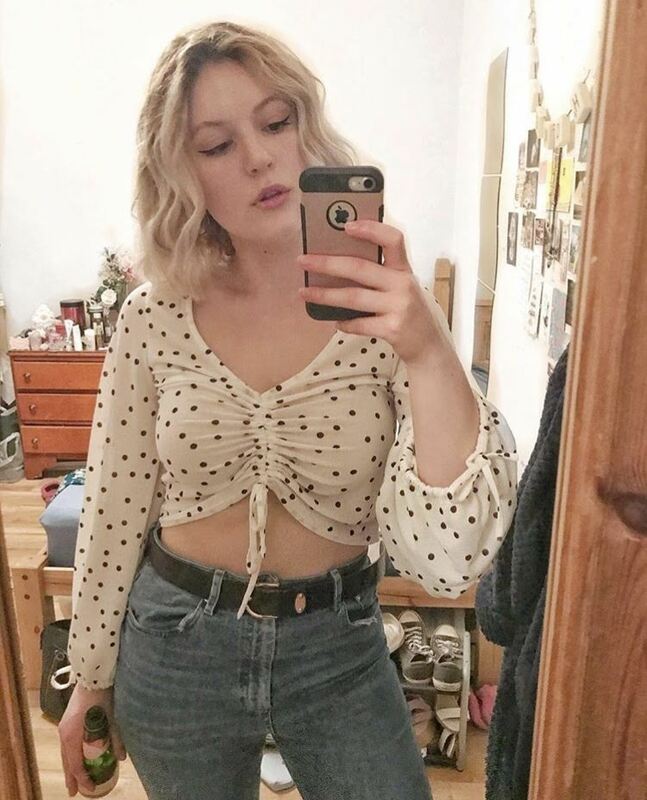 Definitely keeping this up! 5htp (bought here) // mood improver, 'natural antidepressant' - 5htp helps create more of the neurotransmitter serotonin which is associated with the feeling of happiness, I genuinely feel so much happier and less anxious the next day after taking one of these before bed. There are so many reviews online of people with depression taking these and getting a fantastic result, definitely worth a try. Proto-col coco minerals (c/o of them) // hydrates skin and body - hydrates skin from the core, promotes anti-ageing, nautral isotonic and rehydrates the body (perfect for post hangover). Mixed with water and MUCH cheaper than buying normal coconut water, doesn't taste great but neither does coconut water! Aloe Vera Colon Cleanse (Holland & Barret) // supports gastrointestinal health - Bought these are part of one of their sales (slightly embarrassing taking these to the till) but I do think they help when my stomach is off. 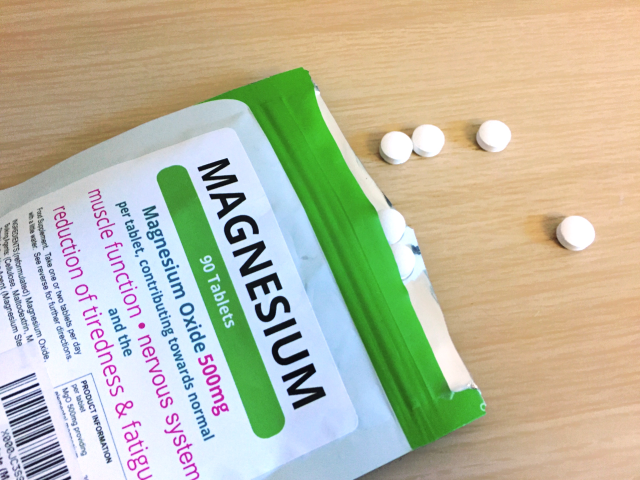 Magnesium (bought here) // supports muscle function, the nervous system, reduces tiredness and fatigue - I have started to use these to help with being tired (usually from oversleeping not gonna lie) or overdoing it at exercise classes to help with sore muscles, and have found they really help speed up muscle recovery.